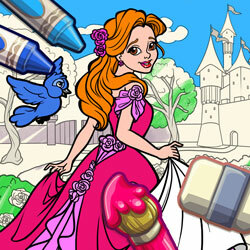 Description: Discover your dream princesses in our coloring book. Put your imagination to work and create the most beautiful artwork. Choose to either color a custom drawing or create your own story and then color it!